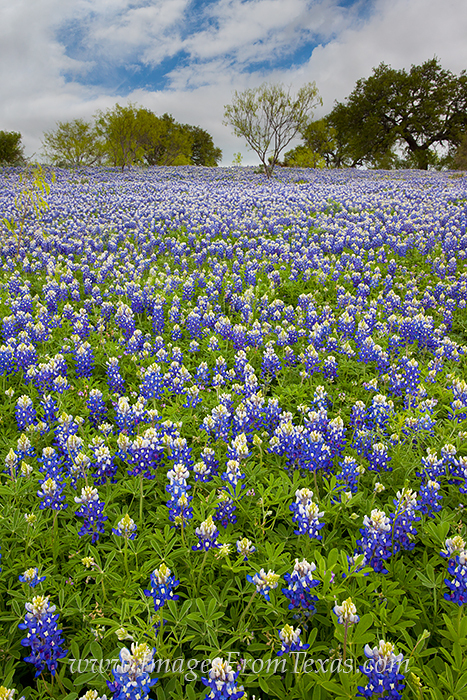 Along Art Hedwig Road near Mason, Texas, you can often find fields of bluebonnets each spring. Here, these wildflowers stretched to the horizon under a partly cloudy April sky. Photo © copyright by Rob Greebon.